I spotted it through the shed door (yesterday) and managed a single shot before it was over the back wall and gone! 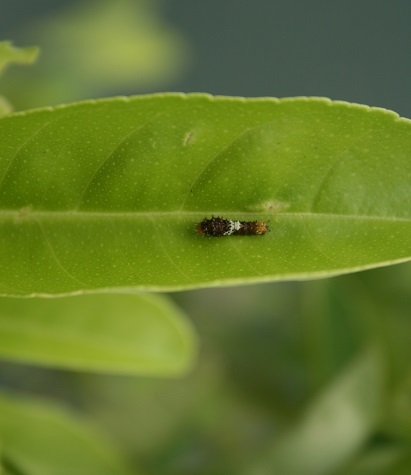 And I noticed this on a fresh leaf of the Lemon Tree by the pond this morning – first laval stage of the Swallowtail. It looks like bird poop for a reason! Next Oi! You in the box! 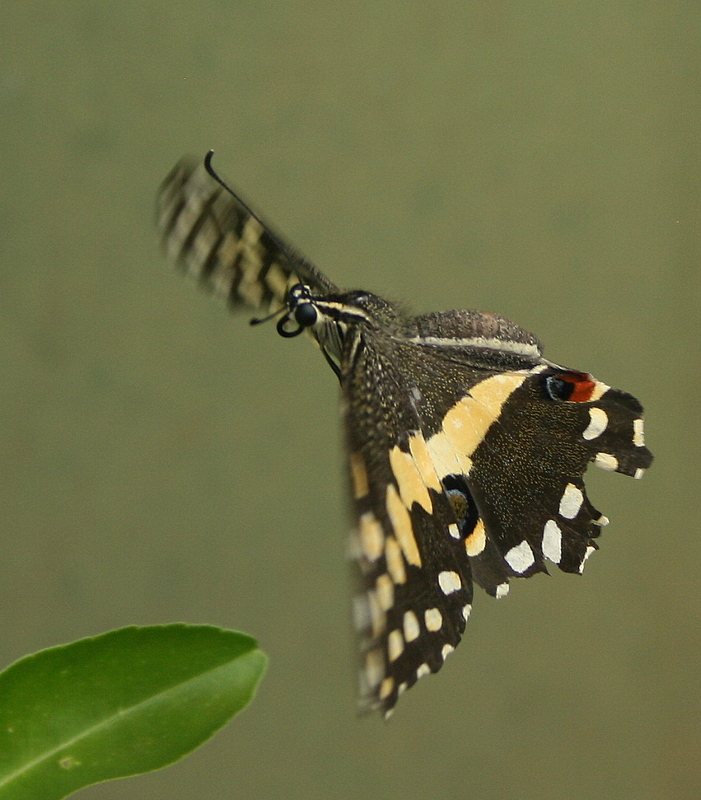 That’s a great capture, butterfly inflights are so difficult well done. Thanks, Brian. It was one of those point, click and hope moments.